Wishing you a happy Halloween too. Here's hoping your day is full of treats and not tricks! Have a Spooktacular Halloween Jim! Happy Halloween to you to Jim!!! When witches go riding, and black cats are seen, that moon laughs and whispers... here's wishing you a Happy Halloween! Hey Ho Halloween's here. Have fun Jim. Happy Halloween Jim and everyone! Hey when did you get to 603 followers? Yahooooo! Yippee! Well met, Gentleman Jim! That card needs a top hat! 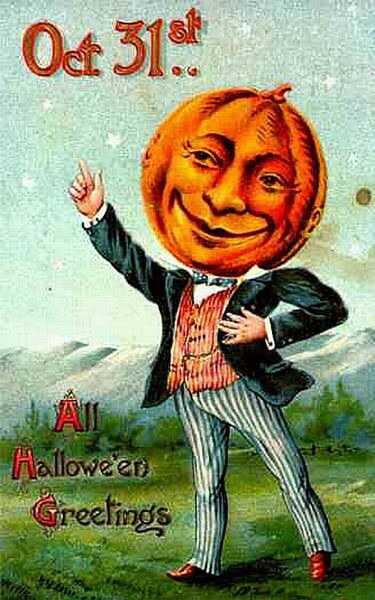 Wishing you a safe and happy All Hallow's Eve.